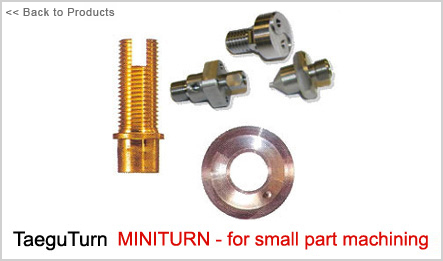 TaeguTec’s new MINITURN family has been specifically designed for small part machining applications. The concept is to combine a high accuracy ground insert with holders to provide improved machining conditions on small part production. The inserts provide high precision machining on small work pieces due to the sharp cutting edge configuration. Each insert has a very accurate index position due to the precision tolerance. GW geometry has small corner radius with wiper geometry which provides for excellent machining conditions and quality of surface finish. Application areas: wide range of steels, alloy steels and stainless steels.